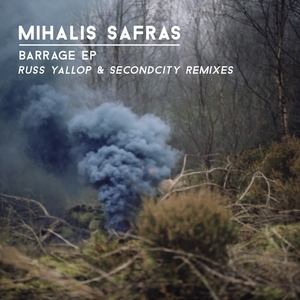 Greece's Mihalis Safras is still at it which is nice to see. Making it big with some great minimal tunes just after the mid noughties but jumping ship at just the right time with some pretty decent tech house tunes afterwards on Traum and Great Stuff to name but a few. Now doing his things for Hot Since 82's Knee Deep In Sound and it's a fitting home really. "Barrage" is druggy, main room tech house that's perfect for those pre peak time moments. The remix by Secondcity though is proper peak time business the rips through the speakers like a steamtrain; you could imagine Paco Osuna or Carlo Lio smashing this out. "Save Me" is a more classic sounding 808 jam with a bumping bassline and old school vocal samples for the more retro inclined, with an exotic, slinky tech house remix by Hot Creations man Russ Yallop.